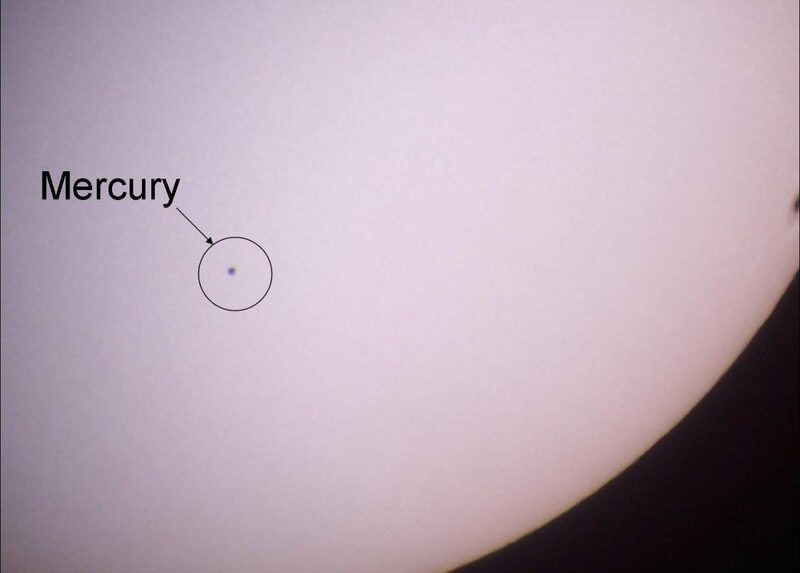 The transit of Mercury occurs this morning. It’s great if you get a chance to watch Mercury pass in front of the Sun, but if you don’t you shouldn’t fret too much. While the transit is great to watch, and many amateur astronomers strive to check it off their observation list, it isn’t as monumental as the transit of Venus. Observations of the Venus transit occur rarely, in pairs every 121 and 105 years. Because of the relative ease of observation, the Venus transits have been used to determine the scale of the solar system. Observations of the transit of Venus were the only way we could determine the size of our solar system until we developed more modern methods such as radio telemetry. In contrast, the transit of Mercury occurs more than a dozen times a century. Because of its more common occurrence, a transit of Mercury was the first solar system transit to be observed, by Pierre Gassendi in 1631. While there is some speculation the Mayans may have recorded a transit of Venus, the first officially recorded transit wasn’t until 1639. But other than holding the status of being first, Mercurial transits haven’t played a big role in the scientific understanding of our solar system. Mercury itself played a role in our understanding of general relativity, just not its transits. But that shouldn’t diminish the fact that we can observe the passing of our home star’s smallest and closest planet across the Sun from our vantage point. An astronomical event doesn’t have to be scientifically useful to be interesting. It can simply be unusual, beautiful and challenging to observe. It’s part of doing astronomy for astronomy’s sake. So if you get a chance to catch Mercury, you should consider yourself lucky to see a wonderful astronomical event.